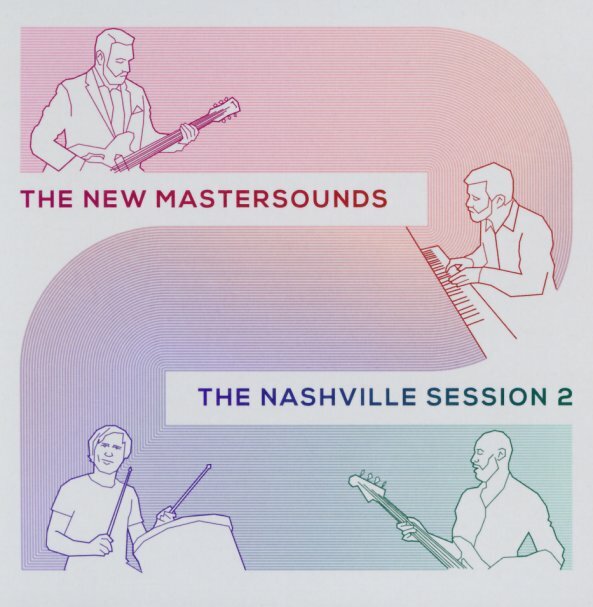 The New Mastersounds return to the sweet studio in Nashville that gave us the previous album – but this time around, they change things up a bit – by using a variety of different keyboards instead of their usual Hammond! The core rhythms are every bit as sharp as before – and full of fantastic work on guitar from the mighty Eddie Roberts – but the grooves have a stronger 70s funk sound than before, thanks to the use of Fender Rhodes, Wurlitzer piano, and even a bit of Prophet 5! These guys never seem to dim their instrumental talents at all – and a tight instrumental set is a great reminder of all that's made them so wonderful for so many years. Tracks include "Miracles", "Pudding & Pie", "Flimsy", "Thermal Bad", "Yokacoka", and a fresh take on "Dusty Groove". (Thanks for that one, guys!) © 1996-2019, Dusty Groove, Inc.